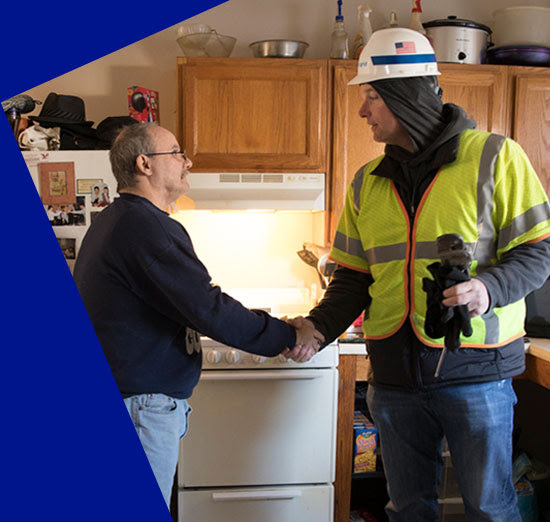 To our customers in Newport and Middletown – we want to express our thanks for your kindness, patience, and resiliency throughout the past nine days. The gas supply interruption we faced was an unprecedented event, presenting significant challenges for all those involved. But the way you and your communities responded was tremendous. We could not have moved through the multiple phases of restoration as efficiently as we did, if it were not for you and your neighbors. The support and assistance from local and state officials who worked alongside us night and day in the restoration effort was also critical, and we thank them as well. We recognize it will take some time for some of our customers to get back on their feet. And we’re committed to helping them move forward in multiple ways. In fact, this week we announced a half million dollar grant program, which will provide immediate financial assistance to the most vulnerable businesses that were impacted by this event. National Grid is a local company and we’re proud to be a long-time partner in the Middletown and Newport communities. Throughout these difficult days you showed us your strength, endurance, and kindness – and we could not be more grateful.